Finding a professional with skills you can trust is key to enjoying a superior smart home experience. Smart home or not, any homeowner who experiences an internet outage knows what an irritating inconvenience it can be to be abruptly jolted back into the dark ages. Just about all of our modern luxuries, and even our home security systems, are now dependent on connectivity. This means that the more technology your home has, the more important it is that your network performs at its peak. But not all networks are built the same, because not all technology integrators are the same. Whether or not your smart home integrator has certifiable networking experience can mean the difference between a decent smart home and an exceptional smart home. 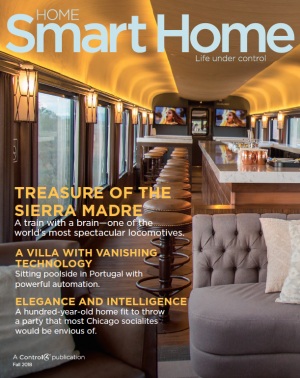 If your smart home is designed and installed by someone who has 10 years of experience in AV installations but only minimal in terms of networking, then the very foundation of your smart home’s connectivity has been compromised. In fact, approximately 30% of technical support calls regarding smart homes are network-related, and a much higher percentage are a result of inconsistent training. Trusted Technology isn’t just a catchy name, it means something. Bell touches on an interesting nuance. Not only does he mention skills and training, but his business stresses the importance of certification. Every one of Trusted Technology’s technicians are Pakedge® Certified Network Administrators (PCNA). This means they participated in a professionally developed program by Control4 that arms connected home providers with a complete understanding of networking basics, network design, and configuration, making them more efficient and capable network technicians. The unique curriculum blends online coursework with practical hands-on learningto ensure mastery and retention. Technicians are certified after they pass a two part exam that is observed by a proctor and includes a hands-on mock installation. Trusted Technology’s Technical Manager, Daniel White, has been building networks for over ten years and leads the Nottingham-based team of installers. White explains that, like most businesses, their team sometimes disagrees with each other regarding certain practices. He further explains that their PCNA training reinforced best practices and has made all installers more consistent in their projects. But Bell decided it wasn’t enough to make sure all his technicians we’re PCNAs. Trusted Technology decided that their project managers should also become certified. He insisted that the greater collective knowledge their firm maintains, the more effective they will be in delivering premium, connected home experiences for their clients. “We believe strongly in providing our clients with the best possible network for their home and have been using Pakedge for over two years now. As soon as the PCNA course was launched at the CEDIA Expo, we knew it was a great opportunity to ensure our engineers remain amongst the best in the industry,” said Bell. Bell’s enthusiasm and commitment to certification and training shows just how important he believes trust is when it comes to earning their client’s business. The humility and wisdom to test and re-educate oneself is the difference between experience and expertise. “Getting back into binary code was really useful. This isn’t something a lot of our guys have done since they were in college and it really helps you understand the basics of a network. The buzz around the office whilst our guys were going through the PCNA course was infectious." Your home is your refuge and it’s important that luxuries and conveniences contribute to your peace of mind and not to headaches. When you are making the decision to hire a professional to design audio and video or smart home solutions, make sure you inquire about their networking experience and ask them what certifications their team has completed. WANT A SMART-HOME DESIGNED BY A WELL-TRAINED PROFESSIONAL? CLICK HERE TO FIND A PCNA. We'll send you more information. BELOW: The PCNA-certified Trusted Tech team at this year's Integrated Systems Europe (ISE) show. 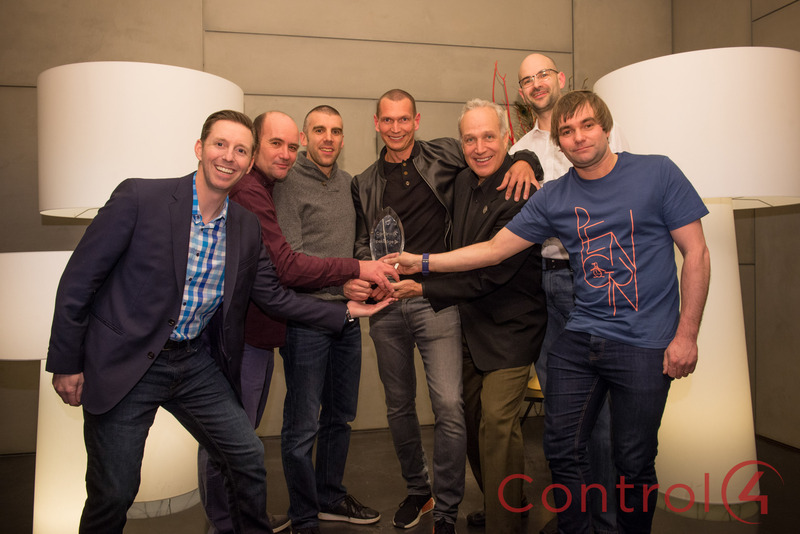 They were awarded Control4 Dealer of the Year; a true testament to their hard work and dedication in delivering truly-integrated, beautiful smart homes backed with robust Pakedge networking.